Sangeeta Ranjit has invaluable experience of 23 years in the hospitality industry, from which 10 years have been into industry operations and 13 years dedicated to hospitality education. After completing her graduation in microbiology from Bombay University, she was selected for the prestigious programme of the Oberoi School of Hotel Management (now known as Oberoi Center for Learning and Development – OCLD). She then joined the Oberoi Group of Hotels and worked there for 3 years in various properties including The Oberoi New Delhi, Mumbai The Oberoi and The Oberoi Towers, Trident Chennai, and soon climbed the ladder of success. Her career progressed with further experiences at the Holiday Inn Khajuraho and the Merit Swiss Asian School of Hotel Management, Ooty and Jalandhar. Her first step into hospitality education was with the Rai Foundation where she was a part of the founding team of the College of Hospitality & Tourism (CHAT). Later, she held the positions of Regional Director-North India Operations at the Institute of Advanced Management and the Founder Director of the International Institute of Hotel Management (IIHM ) Gurgaon. She went on to set-up IIHM’s Delhi campus in 2010. She founded Visan Hospitality in 2008 as a food services business. 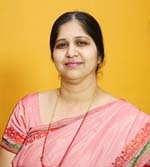 In 2011, she established School of Skills Development in Hospitality’s first campus in Gurgaon and aims to expand its presence across other cities as well. 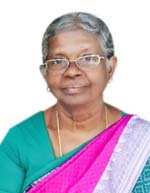 Mary Janaki Rajasekaran carries a rich experience of 35 years of touching the lives of thousands of students through the noble profession of teaching. After completing Bsc (Zoology), MA (English Literature),and M Ed, Ms Rajasekaran worked as a dedicated and committed teacher for 35 years. She taught & retired as a PG Teacher from the Municipal Higher Secondary School, Kornad, Mayiladuturai, Tamil Nadu. She’s a passionate teacher who’s always been committed to transforming young lives by impacting them with imperative values and ethics that further helps them face the challenges of the world which they step into after their school life. She inspires the principles of nurturing, encouraging, and fostering students at SSDH.